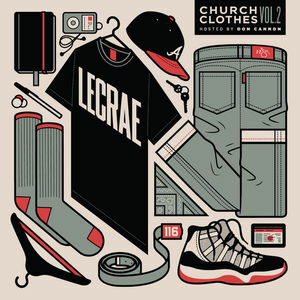 Download Lecrae's 'Church Clothes Vol. 2' for Free! Home / Blog / Artist News / Download Lecrae's 'Church Clothes Vol. 2' for Free! DJ Don Cannon is offering a limited free download of Lecrae's latest release "Church Clothes Vol. 2." Click HERE to get the free download and listen to this award-winning Christian rapper, who is headlining on the Winter Jam 2014 Tour Spectacular. More than 119,000 people have already taken advantage of this free offer and thousands more have purchased it via the iTunes store. Click HERE for the iTunes link.